With today’s economy seemingly on the brink of major problems, it’s important to diversify your investments and protect your assets. Stocks and bonds can do well in some scenarios, but what will happen to financial assets in the event of a major crash or a sudden currency devaluation? A wise investor secures their wealth by adding gold and silver to their portfolio. Money Metals Exchange understands that it can be quite cumbersome trying to figure out which precious metals products to invest in when you’re just starting out in the metals market, which is why we have created pre-made portfolios to help you. 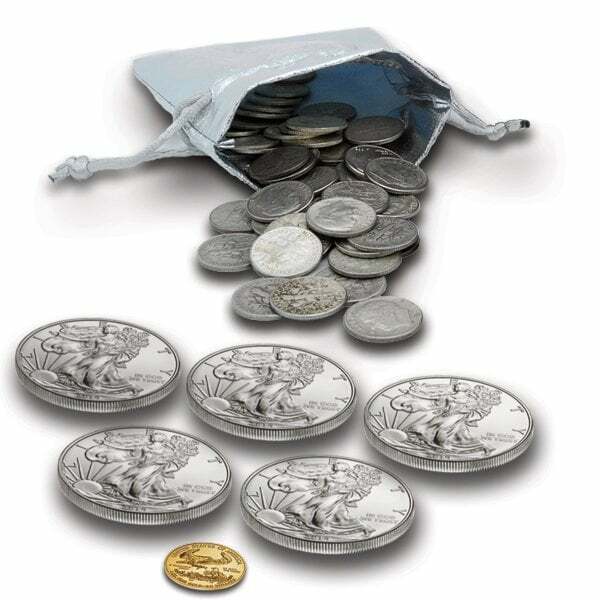 These Gold and Silver Starter Portfolios are a great way to grab a mix of gold coins and fractional silver rounds– it’s comprised of some of the very items we recommend every investor should have in their possession. The Gold and Silver Starter Portfolio includes some of the most sought after and commonly traded bullion items in the physical precious metals market. This means that you will be to sell your coins and privately minted silver rounds nearly instantly when when the time is right. Money Metals Exchange also chose to include gold and silver items with a low “bid/ask spread,” which is the difference between the price you paid and the price you’ll receive to sell. Finally, the portfolios come with a fractional gold coin and some smaller silver coins that may be preferable for use in barter and trade should the need arise. You cannot rule out the possibility of such circumstances. Currently, we include more silver than gold in our Gold and Silver Starter Portfolios, partly because silver appears to have extraordinary potential right now, even against gold. We highly recommend that investors have an investment position in the white metal while the dollar-denominated price is still so low. Begin diversifying your wealth today by purchasing our starter portfolio. Great investment in gold and silver, you can never go wrong. And with all the troubles going on in the world I think gold and silver is your best bet ! How can you lose ? The value of the gold and silver is important, but he real value comes with the price and the incredibly fast shipping. If you have not dealt with other precious metals dealers then you can't appreciate the value MMX brings to the table with their price, fast response and quality product. I bought this, though I am not new at small investments in precious metals. I bought it to give out first grandchild that is due early in 2016. I like what I saw.